All Wilmington homes currently listed for sale in Wilmington as of 04/25/2019 are shown below. You can change the search criteria at any time by pressing the 'Change Search' button below. "It is unprecedented when a property like no other becomes available. Crowning a hill with commanding views of Chateau Country, this impeccable 5 bedroom, 5 full and 4 half bath home in Greenville has all the qualities of a magnificent English manor. 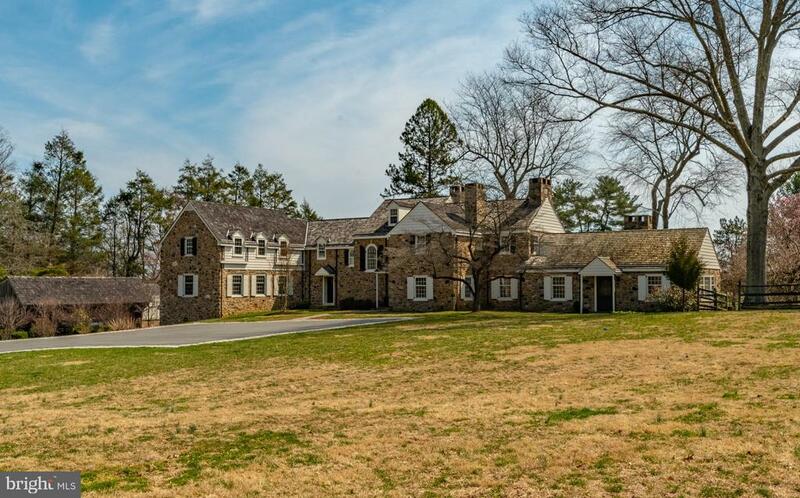 Built entirely of stone, it complements the Brandywine Valley landscape. Although it looks as though it~s occupied for the same idyllic spot for generations, it is only nine years old. The entire 8.5-acre property is fenced and has a multi-zoned irrigation system. It provides stunning long vista views in every direction. Not only is it next to Winterthur Museum, which occupies 1,000 acres, but it also borders conserved land. Like any modern home, this residence has an open flow for elegant entertaining while also providing space for rest, relaxation and fun. Throughout the home, the attention to detail is unparalleled through top-of-the-line finishes and appliances and is especially evident in the Joanne Hudson designed gourmet kitchen, which includes high-grade Italian granite countertops, travertine marble floors and espresso bar. Relax on the sprawling terrace overlooking the sparkling pool surrounded by a travertine patio and pool house with kitchen and full bath. In addition to the main home, there is a one-bedroom apartment above the freestanding three-car garage and a 3 bed, 2 bath gatehouse for family and friends. Throughout the property, there are state-of-the-art systems. The main house has seven-zone geothermal heating, whole-house humidification system. Additional features include elevator, accessing all floors, variegated slate roof, 11 fireplaces, 3 wells, 2 septic systems. Lower level is accented with stone from property and includes 2000+ bottle wine cellar and bowling alley. And while the estate is located in the heart of the bucolic Brandywine Valley, it~s minutes from downtown Wilmington and Philadelphia and major transportation hubs." "Magnificent du Pont estate built in 1939 with beautiful updates and upgrades through the years while maintaining the original features of the stone home like wrought iron balconies and two story copper bay windows. Nestled in the hills of Chateau Country on 22.15 acres surrounded by 300+ acres of conserved land owned by the Delaware Nature Society, this impressive property with gated entry includes stunning home with nine bedrooms, seven full bathrooms, five powder rooms, elegant formal rooms, English conservatory, spacious family room, library, den, home office, and spectacular finished lower level with English pub, cinema, and gaming rooms. The master suite includes large bedroom, dressing area with morning kitchen, private full bathroom, walk-in closet, and sitting room with fireplace and additional closet space. The main home has over 21,000 sqft of living space on three levels with an elevator to all levels. Slate terrace at the rear of the home leads to the spectacular gardens and outdoor entertaining areas. An infinity style in-ground pool with water slide and hot tub is complimented by a fully equipped pool house entertainment area, bar, kitchen, full bathroom and dressing area, and laundry room. There is a two car attached garage and a detached garage with heated floor and four bays that can house up to six cars. Above the detached garage you will find a guest home with full kitchen, great room, two bedrooms, a full bath, and some of the best views of the property from the private deck. The property is also home to a caretakers cottage with three bedrooms and four car garage. Guest House room sizes: great rm 16x17,bd1 13x11,bd2 15x14,kitchen 8x9"
"Wonderful Okie style colonial home, meticulously renovated with architect John Milner, offers all the modern amenities while keeping true to its period. The attention to detail is clear from the moment one enters the home that the original style and flow be maintained throughout, with no exception. Three magnificent antique mantels in the dining and living rooms were imported when the home was originally built in 1938. Hardwood floors and crown moldings are found throughout the entire home. The kitchen offers high end appliances from Wolf and Subzero, Soapstone and Tiger Maple countertops, detailed cabinetry and plenty of storage. The current owner finished off the lower level that boasts a family/media room with a large fireplace, full bedroom and full bath a hidden wine cellar and a large workout facility. The 7 acres offers beautiful vistas of the countryside, a play house and a large stone terrace that is perfect for outdoor entertaining. Additional amenities include an elevator, 5 wood burning fireplaces, cedar shake roof, and all new systems. PA Tax Parcel No. 62-08-0040.00 also included." "Owner is a licensed real estate agent. A remarkable custom Hillcrest designed home. This high quality home invites a new standard situated on 2 acres in the chateau country in the heart of Centreville. Home has beautiful sun filled rooms using the finest materials and craftsmanship. It offers easy access to village shops and quality schools. Gorgeous foyer & exquisite staircase gives an open feel while inviting you into the rest of this, made from a dream home. The home is equipped with geothermal heat which give the home an added level of luxury. The master bedroom wing has his and hers walk-in closets. Fully equipped with soaring ceilings, decorative cornices and a huge kitchen that was designed for an open feel. Complete with a home theatre & fully equipped basement ideal entertaining. Conveniently located minutes from I-95 & PA and a short drive to the PHL airport and Wilmington train station." "Magnificent Estate home in a much sought after location. Nestled between Wilmington County Club, Brandywine Creek State Park, and Winterthur. Summit Lane consists of only 13 Estate homes, this one sits on just over 3 acres and was built with top notch materials and exemplary craftsmanship. As you enter the property via the long drive, you'll quickly realize how special this home is. No expense was spared in the construction, from the extra thick basement walls, radiant heated flooring throughout the lower level, 1st floor master and kitchen, and how all extra space was utilized. Every room has crown molding, as well as extensive wainscoting. All fixtures, door knobs, faucets, door hinges, etc. are all made of brass. Beautiful hardwood flooring throughout, tile and marble, with carpet in some 2nd floor bedrooms. Pella windows and custom doors throughout. Recessed lighting throughout as well as a whole house intercom/speaker system. As you enter, you'll notice the beautiful tile flooring in the two story foyer as well as the turned staircase. The front living room is well appointed with a gas fireplace surrounded by imported Italian marble. The dining room has double glass doors that lead to the 2 story family room, with floor to ceiling river stone fireplace (gas). The kitchen is very well appointed with custom cabinets, marble counter tops, 2 stainless sinks, viking range, breakfast bar, over sized refrigerator, large eat in area as well as an attached sun room with terra cotta tile, skylights and ceiling fans. Rear sliding doors lead to the rear deck overlooking the enormous and tranquil rear yard. The first floor master has dual walk in closets, a sitting area, hardwood flooring and plenty of space. The master bath features all marble flooring, a custom shower, double vanity, large jetted tub and water closet with bidet. The first floor also includes a half bath, many closets, laundry room, another full bath and access to the 3 car attached garage. Acce"
"Take in the full benefits of the countryside with this unique property built in 1919 located on Selborne Road within walking distance to the charming village of Centreville. The Henry Canby House stands proudly, with a classic beauty fitting for a property originally owned by Yale professor and author Henry Seidel Canby and his wife, poet Marion Ponsonby Canby. 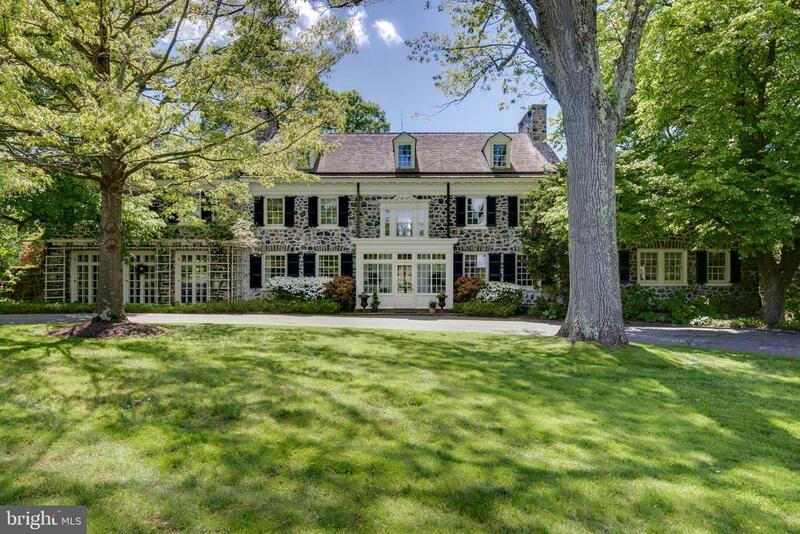 With intermittent trees casting a play of shadows across the rolling slope of the lawn, circular drive, and intricate stone exterior, the colonial is scenic in any season. This 4.7 acre lot includes the main house and surrounding lawn, as well as a portion of the pond spanning the original grounds. Step in from the foyer, through the enclosed main door, into an open center hall showcasing the colonials layout, which amplifies air flow and the natural light emitted through French doors, illuminating the turned staircase and entrances to family room with wood burning fireplace, spacious dining room and living room. Epicureans will love the additional meal prep and storage spaces offered by the Butlers pantry, with a dishwasher, additional sink and refrigerator, and exceptional tiger maple cabinetry. Ease of access in to the eat in kitchen on the west end, which features stone counters, large center island seating five, and custom designed alcove for the natural gas commercial grade range with a hidden exhaust fan. A magnificent sun room receives light from the nine sets of French doors and boasts terra-cotta flooring, leading to exterior, hedge bordered, stone lined courtyard. Second floor offers four bedrooms, laundry, and ante-room with additional storage and lounge space, as well as the Master suite, complete with two individual baths and dressing areas, two fireplaces, and den. Upstairs, the third level includes remaining three bedrooms with ample closet space and two complete bathrooms. The walk out basement receives natural light and air flow from the full sized windows in family room, also half bath, sep"
"New, elegant, well-designed and spacious family home completely remodeled and renovated in 2017. Walls and ceilings removed, second floor space added. In essence, new construction. Open concept, great flow and huge rooms. Fully landscaped and hard-scaped; three (3) plus acres with pool, cobblestone driveway, slate walks, striking stone gazebo and stone walls. Expansive two-story inviting foyer with artwork-like stairs and ceiling woodwork.Superior location in the heart of Greenville, private lot with public untilities!" "Custom-built gabled farmhouse on 3+acre stunning setting combines timeless design, beautifully proportioned rooms, exceptional construction & spectacular architectural detail defining a dream house for the discerning dreamer. With living space on 3 levels (including finished lower level), this gorgeous home features endless appointments. The main-level master with lavish bathroom suite is an oasis getaway. Exquisite formal and informal rooms. Chef's kitchen with breakfast room in addition to sunroom. Walk out to patio with top of the line hardscaping with stone fireplace and pond overlooking expertly planned gardens - the perfect entertainment spot. Added tree line for privacy and irrigation system. Office space plus fabulous mudroom. Partially finished basement with kitchenette is the perfect space for a second family room, game room plus loads of storage space. Roof and all systems have been replaced. The end result is a home as comfortable as it is stylish, with pristine rooms that are generous in scale and immensely inviting." "Own a piece of Delaware history! A hidden gem in Greenville, original construction of Crooked Billet began c.1700 with a small, two level stone structure that served as a tavern and eventually an inn for wayward travelers. After several additions and renovations, the grand home currently stands as one of the finest duPont estates in the Brandywine Valley. Entering the original tavern room with herringbone patterned brick floor, over-sized fireplace and exposed wood beams, visitors are transported into the eighteenth century. Immediately, details like hand-forged iron strap hinges and detailed wood paneling offer a glimpse of the home's authentic craftsmanship. Twelve inch, 200 year-old heart-of-pine flooring throughout the main level, exquisite built in cabinets and bookshelves, and soaring ceilings and windows have been meticulously cared for over the decades and centuries, preserving this stunning estate. 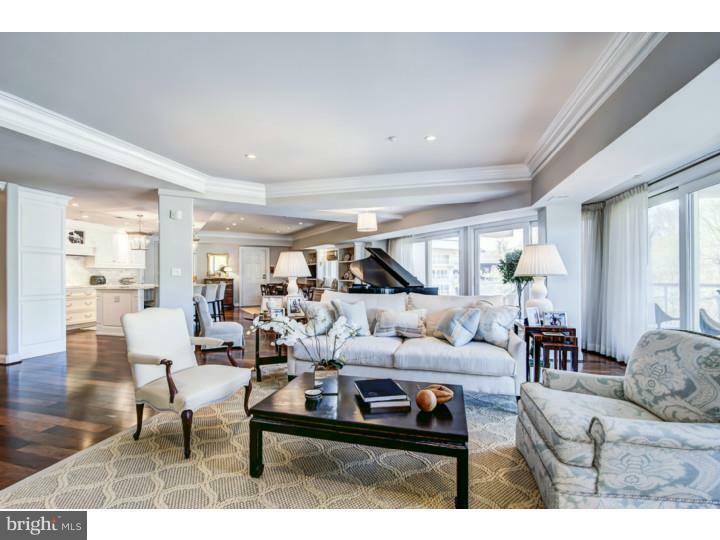 Besides the formal living and dining areas, a library, nine bedrooms, three stairways, a finished third floor, media room, and generous kitchen/wet bar/butlers pantry offers more than enough space for living, cooking, entertaining, and playing. A separate pool house can also function as an in-law suite or guest house. It offers a full kitchen and tavern-style bar, bedroom, full bath, great room with stone fireplace, and huge game room ready for entertaining, exercise, home office, and more. Outside, a screened in porch overlooks the flagstone patio and pool. There is a 2 bedroom apartment above the detached Carriage Style Garage. Mature gardens bloom throughout the season, offering gorgeous bursts of color every day during the spring, summer, and into fall. Crooked Billet is featured and described in beautiful, historic detail in Daniel DeKalb Miller's 2013 book, Chateau Country: duPont Estates in the Brandywine Valley. 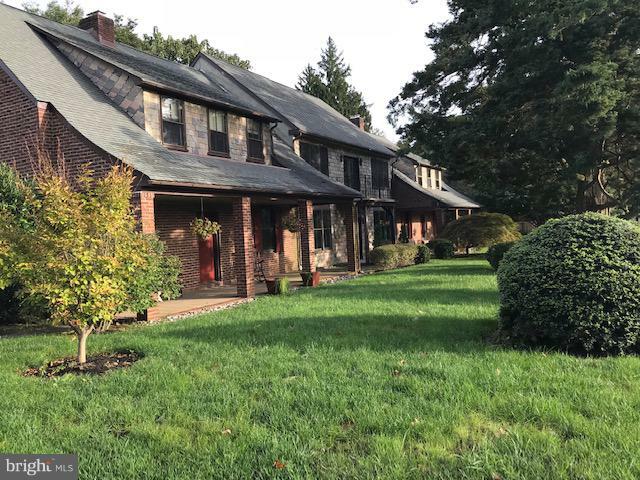 Located in the center of Greenville with quick access to major roadways, minutes from downtown Wilmington, Christiana Care and AI duPont Hospital"
"Complete restoration of this 1920s stone Normandy Tudor. This exceptional home has been meticulously maintained by the current owner. Enter the elegant entry vestibule with arched stone walls that leads to grand main foyer featuring arched doorways, turned main staircase, wainscoting and antique wall sconces. The expansive living room is complete with fireplace, wainscoting & extensive moldings. Dining room with two built-in corner cupboards, wood burning fireplace, wainscoting & moldings, and a wall of French doors overlooking the tiered slate terrace. The adjacent Butler~s pantry is full service with a Bosch dishwasher and farm sink. Custom kitchen offers state of the art appliances including a Sub-Zero refrigerator, eight burner Viking stove, and Bosch dishwasher along with honed limestone counters. Large family room and breakfast room are open to one another to create a modern style great room featuring wood burning fireplace, custom built-ins and wet bar. A library with two walls of custom built-ins is bright with ample natural light. First floor is completed by an oversized mudroom with cubbies and a full bathroom. A beautiful turned staircase with leaded glass window at the landing leads to the second floor. Upstairs you will find a spacious 1420 square foot master suite with volume ceilings, gas fireplace, custom built-ins, sitting room, private office, two walk-in closets, and luxurious master bath. Original master suite is now being used as a Princess suite and has a newly renovated private bathroom. The second floor is also host to two additional bedrooms, full hall bath with stunning original tile, large sitting room with access to back staircase, and laundry room. Additional bedroom suite on the third floor with a private bath. Finished lower level is highlighted by a climate controlled wine cellar. Entertaining outside is just a pleasurable as inside. Expansive slate terrace with new outdoor kitchen shaded by a pergola overlooks the fenced rear yard. A"
"Enjoy an evening stroll to Trolley Square or a bike ride through Rockford and Alapocas Park, this property is highly desirable for busy executives and families for its low-maintenance yard and incredibly easy access to downtown, I-95, schools and shopping. Impeccable custom Dewson built 5br, 6.1ba colonial offers exquisite upgrades and over 8,000 square feet of living space on four levels. Hardwood flooring throughout the main level. Refined kitchen has granite countertops, high end stainless steel appliances, sophisticated tile backsplash plus bright and sunny breakfast room with see through gas fireplace. Centrally located family room offers gas fireplace, custom built-ins with aquarium; and access to solarium. Sumptuous owners' suite features an office area, upscale sitting room with gas fireplace and relaxing bathroom with jacuzzi tub, separate oversized shower, and double vanity. Three generous sized secondary bedrooms all en-suite complete the second level. Fifth bedroom with a full bath on third floor perfect as a playroom, office, upper level family room or nanny en suite. Finished basement is designed for entertaining with kitchenette and full bath plus sauna. Dramatic yet comfortable. A distinctive feature of this location is the immediate access to parks, recreation and culture right outside the door. This home is situated with expansive beautiful views of Rockford Park in front of the house, a convenient dog park, basketball court and baseball diamond. To the left, just steps to visit the Delaware Art Museum and access to walk 14-acres of wooded property. Additionally, just down a hill behind the property is Alapocas Park that runs along the Brandywine River and offers walking, hiking, biking and rock climbing. Alapocas Park also connects to the Northern Delaware Greenway which spans 10 miles. This property is the epitome of city living at its finest." "Encompassing six executive home sites built by the area's leading custom builder, Dewson Construction. This unique offering situated in the heart of Greenville is in walking distance to area boutiques, restaurants and amenities. Ranging from 3,100sf, utilize one of renowned architect Bernardon's available designs or customize to your specifications. High quality finishes and state of the art amenities including gourmet kitchens, luxurious baths and living spaces perfect for today's astute owners. All set within an unrivaled location enhanced by mature grounds. Photos are of finished home in community and representative of the quality and type of construction. Photos do not represent the exact specifications of home to be built on this lot." "Unique opportunity to live in the Village of Centreville, enjoy the non development one of a kind setting adjacent to conserved pasture land and to walk the Village. 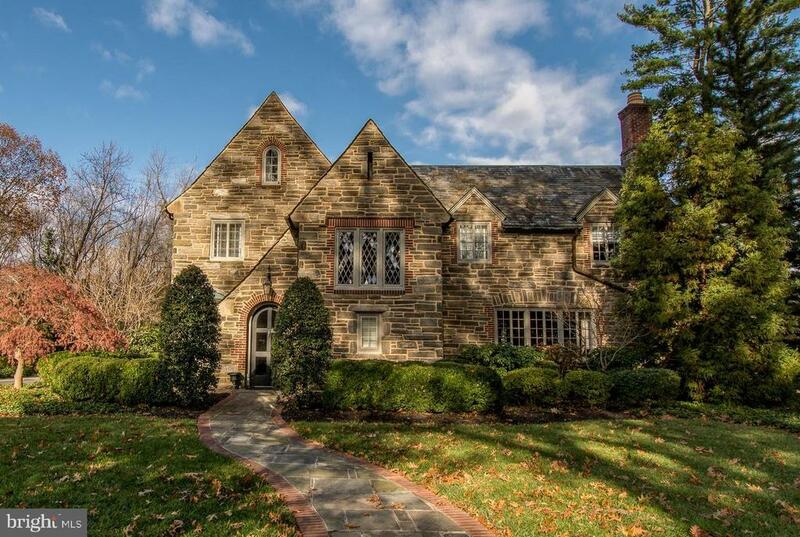 This home was built in 1915 as two caretaker cottages for a nearby estate. In 2007 the Seller undertook a large renovation to connect the two into a single family dwelling by infilling between the two existing structures. The two homes are now one; the living room walls are two story exposed brick with glass front and rear. Exterior slate walls add texture and color to the mixture. Indoor and outdoor Rumsford fireplaces, tall and shallow, create wonderful entertaining area focal points. The main bedroom area sits above the kitchen area of the East end of the house with the other three bedrooms to the West. The living room balcony gives ease of access between the two if you are concerned about monitoring youthful activities. The first floor bedroom on the West end is perfect for guests; ensuite bathroom and outdoor access.The kitchen area is cozy but large enough to entertain while cooking on the large granite island. Windows front and back permit views of open lands while fixing special treats in the dual ovens. Finally, the newer 3 car detached brick garage has nine foot doors, storage above and a aggregate side pad for the 3 person hot tub. Overall this is a fabulous entertaining home that is fun for all ages right in the heart of Centreville. Your home will be the gathering spot!" "Delaware's premiere luxury condominium, The Pointe of Brandywine Park, offers a lifestyle along with both privacy and river views. Imagine a page out of architectural digest that is also comfortable and livable. Private underground parking, and an elevator that delivers you to your own entrance foyer. Hardwood floors, paradise kitchen cabinets and elite high-end appliances with a stunning and generous center island with Carrrera marble, countertops, as well as a large dining area adjacent to a corner bar/buffet. Three bedrooms and three full bathrooms, with two of the bathrooms en-suite, are also marble. A surprising separate space adjoining the rest of the living area, but still with river views, allows the owners of this unit a spacious room for TV and family gatherings. There is a large laundry room, a pantry closet, built-in closets throughout. The third bedroom is currently a large built in luxury closet that adjoins the master suite and could easily be converted back to a bedroom. 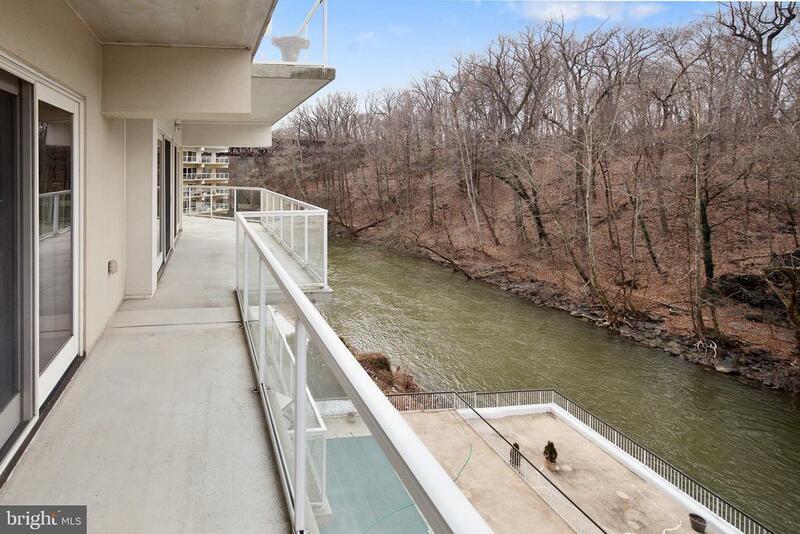 It feels like a private oasis on the Brandywine River. 24 hour security, pool, fitness center and card room with billiards table, community room and concierge compliment the easy lifestyle." "Luxury, quality, refined elegance and privacy await you at The Pointe at Brandywine Park on the Brandywine River. Step into your private elevator foyer decorated with crown molding, wainscoting, designer light fixtures and hardwood flooring. Views of the Brandywine from the master bedroom, living room, & dining room. Wrap around balcony is over 450 sq ft of outdoor living space. Mosiac marble tile, hardwood floors, upgraded carpet & padding, rounded plaster corners, extensive moldings & trim work, custom closet systems throughout. Three spacious bedrooms, each with an en-suite bathroom, powder-room, laundry room, custom built-ins along with a Paradise custom kitchen. Kitchen features Carrera marble countertops & backsplash, SubZero refrigerator, Wolf cooktop, oven & microwave and Asko dishwasher. Two deeded parking spaces, 24 hour security, pool, fitness center, card room with billiards table, community room and concierge offer a maintenance and hassle free lifestyle. Easy access to Greenway trails, I-95, downtown, & shopping. Located outside Wilmington city limits, nestled at the northern tip of parkland. Pet policy recently changed to allow dogs up to 55lbs." "Property being shown for 2 days only 4/11/2019 and 4/12/2019. Property being sold as is condition. All showing requests through ShowingTime only. Offers to be sent to listing agent by 5pm on Monday April 15, 2019. All offers will be presented to 3rd Party Processor and seller on Tuesday April 16, 2019. All responses, counters, approvals, denials will be communicated to buyers' agents by 5pm on Thursday April 18, 2019. All is subject to change pending bank communications. Until all approvals are complete, buyer should not move forward with attorney or appraisal. Settlement date is subject to change. Buyer to pay Third Party processor 3% fee at settlement. SEE DOCUMENTS.Property being shown for 2 days only 4/11/2019 and 4/12/2019. Property being sold as is condition. All showing requests through ShowingTime only. Offers to be sent to listing agent by 5pm on Monday April 15, 2019. All offers will be presented to 3rd Party Processor and seller on Tuesday April 16, 2019. All responses, counters, approvals, denials will be communicated to buyers' agents by 5pm on Thursday April 18, 2019. All is subject to change pending bank communications. Until all approvals are complete, buyer should not move forward with attorney or appraisal. Settlement date is subject to change. Buyer to pay Third Party processor 3% fee at settlement. SEE DOCUMENTS.Property being sold is a Short Sale through Third Party Processor (see attached documentation). All offers and real estate commissions are subject to acceptance by 3rd party review from owners mortgage company/lenders and any other lien holders, and subject to the owners acceptance of those short sale terms. Home is being sold as-is with no warranties expressed or implied. Home inspection is for informational purposes. This home is perched high above a spring-fed pond in a little-known, highly-coveted section of rolling countryside, this unique colonial home bridges the gap between traditional charm and modern lifestyle. Situ"
"Crooked Billet is a new 55 and over Luxury Home Development located in the heart of Greenville, Delaware; 30 minutes from Philadelphia and just 90 minutes from NYC and Baltimore/DC area. This 19 home community will be built (beginning April 2018) on a former 28 acre estate with thoughtfully planned 14 acres of landscaped open space and walking paths. Five sophisticated home choices, to be built by renowned builder, Dewson Construction Company, reflect the beautiful and timeless architecture of the area and offer a range of size and functionality options for individual lifestyles. The development will be a luxury living, turn key community, giving the homeowner maintenance peace of mind. The combination of the beautifully designed community, and proximity to major cities, yet within walking distance to shopping creates a one-of-a-kind opportunity to live in tax-free Delaware." "This exceptional, all brick single family home with five bedrooms, five full bathrooms, and two half baths, is located in the L'Hermitage community in picturesque Greenville. Spend some time with the family in any one of the gorgeous living areas. Enjoy the indoor pool, private tennis court, and brick terrace on this beautifully landscaped 2.21 acres. This home captures amazing amounts of natural light throughout the day making it a very warm and inviting place to retreat to! A two story wall of windows at the front and back of the home allows for stunning natural light to fill the two story entry foyer that opens to the step down living room with fireplace. Elegant formal dining room with bay window has Butler's pantry to transition to the kitchen. Spacious, kitchen with breakfast room opens to the family room with vaulted ceiling and built-ins that frame the fireplace. The back hall is host to the laundry room, mudroom area, and a back staircase to the 2nd floor. The right side of the home features a library with rich, warm wood built-ins, well appointed master suite with private bath, and an amazing indoor pool room. Vaulted ceilings with skylights and abundant windows give the feeling of being outdoors, but allow for year round use of the pool. Upstairs you will find four additional bedrooms and three full bathrooms. Finished lower level recreation room with area for Billiards table. Enjoy the peaceful views of the rear yard from the terrace or gazebo. Private tennis court for sharpening your game or just daily exercise hitting balls. Circular drive and three car garage allow for ample parking." 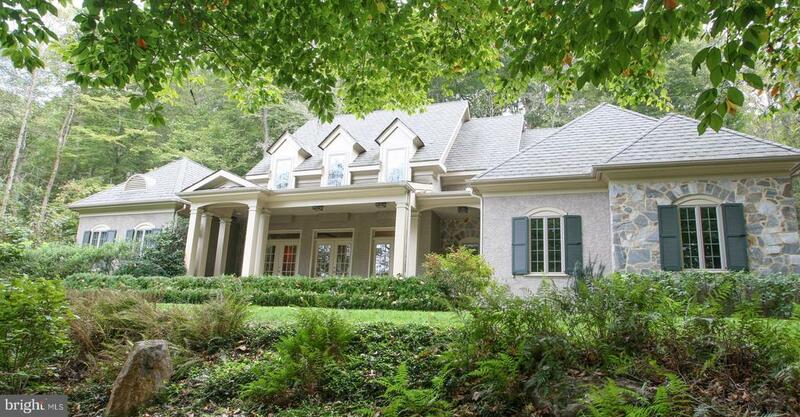 "Elegant Federal style 5 bedroom 5.1 bath home located on a private 1+ acre lot in desirable Sedgely Farms. A country like setting minutes from schools, most notably Tatnall, shopping and parks with an easy commute North or South. This exceptional brick home combines traditional architecture with a modern Floor-plan, upscale interior and gardens create a perfect flow for family living and entertaining. A two story entry w/marble tiles adjoins formal living and dining rooms and leads to an open plan mahogany kitchen w/ high end finishes, 2 family room spaces and informal dining. Surrounding French doors to a composite wrap around deck allows for a broad view of the private and lush landscaping - bringing the outdoors inside. An intimate screening room, private office, powder room and pantry complete the main level. A grand staircase leads to the 2nd floor with a master suite that includes bath, walk-in closet and private office/dressing room, 1 bedroom with bath and 2 bedrooms with jack and jill bath and laundry room. A 2nd floor in-law apartment and 3rd floor family room w/ full bath adjoin the 2nd floor and are also accessible from a stairway in the kitchen area. A 4-car garage and abundant storage space throughout complete this unique, move-in ready home." "Situated on 5 acres this 200+ year old home has retained much of its original charm and character with its original millwork, wood doors with period hardware, deep window sills, rich classic moldings and fixtures, and wide-plank wood floors. 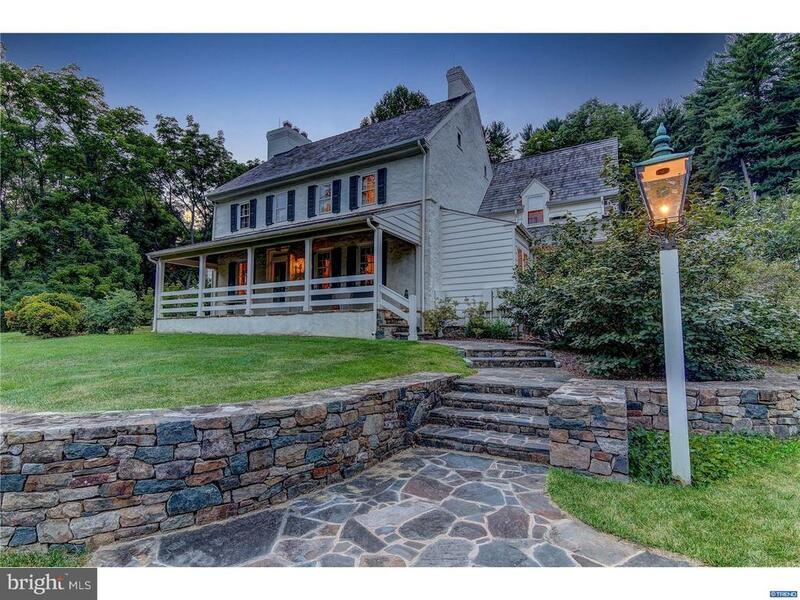 Proceed up a winding driveway to find this beautiful stone Colonial. Enter through the covered stone porch that runs the length of the oldest part of the house into the welcoming foyer/front room with corner fireplace. Stunning views through thoughtfully placed windows throughout the home overlook the lush surroundings. Continue through to the stair hall, once the original living room, featuring a turned staircase to the second level. To the right enter the large dining room with sprawling fireplace. A large open kitchen sits beyond the dining room with Morning room and mudroom leading to covered entrance to newer oversized 2-car garage. A laundry room and small sunroom, perfect for wintering plants, sit off of the kitchen. To the left of the stair hall pass a powder room and enter the sprawling family room added at a later date, with intricate wood details, built-in shelving, exposed beams and a large fireplace. Beyond this find the private and peaceful sunroom with walls of windows. Access the second floor from any of three staircases (family room, hall, and kitchen). Here find 5 bedrooms and 4 bathrooms 3 of which are Jack-and-Jill, allowing for easy access or privacy. A master suite features a dressing room and updated bath with large tiled shower and marble-topped vanities and a private office completes this level. A small hidden staircase leads to the carpeted third floor, perfect for a play room or storage. At the rear of the house find a serene terrace bordered by three sides of the house and a low stone wall, making it perfect for summer entertaining. A separate bank barn sits further down the winding drive with 2 bays above and 2 below. This historic gem sits in the heart of Greenville, close to Rt 52, downtown Wilmin"
"This beautiful and distinctive home in the popular Greenville community of Wynleigh has something for everyone. The home has been upgraded inside and out, including the Hardie Board exterior; a modern look enhancing the smooth lines of this elegant home. The approach includes a flag stone terrace with lovely landscaping further enhancing the curb appeal. When you enter the home you will immediately notice how bright and open it is with rooms that flow one to another perfect for today's style of living. The two story foyer with wainscoting and gracious split staircase lead to the formal living and dining rooms each with handsome millwork and hardwood flooring. The sunroom runs the width of the home and features transom topped French doors leading to a newly renovated roof top terrace with DecTec warrantied waterproof flooring with wood look, stone pillars and beautiful black railings. Adjacent to the sunroom is a study with built in book cases and window seat. The focus of the main floor is the 2-story family room highlighted by nine enormous windows flanking a gas fireplace; the natural light streaming in and the amazing views of the well landscaped grounds are worth the tour alone. The family room is open to the spacious eat-in kitchen with island seating and more, plus French doors to a screened in porch, expanding your seating during warm weather. Access to the outdoor grilling and pool area is from the screen porch or the upgraded mudroom which includes custom cabinetry, sink, cubby storage and a powder room, and leads to the 3-car garage. A full bath adjacent to the family room completes the floor. Take the back or front staircase to the luxurious master suite on one end of the home which includes a 3-sided gas fireplace, sitting/exercise room, walk-in closet and updated gorgeous bath with over-sized marble shower, double sinks, radiant heat flooring and master closet with high end finishes. 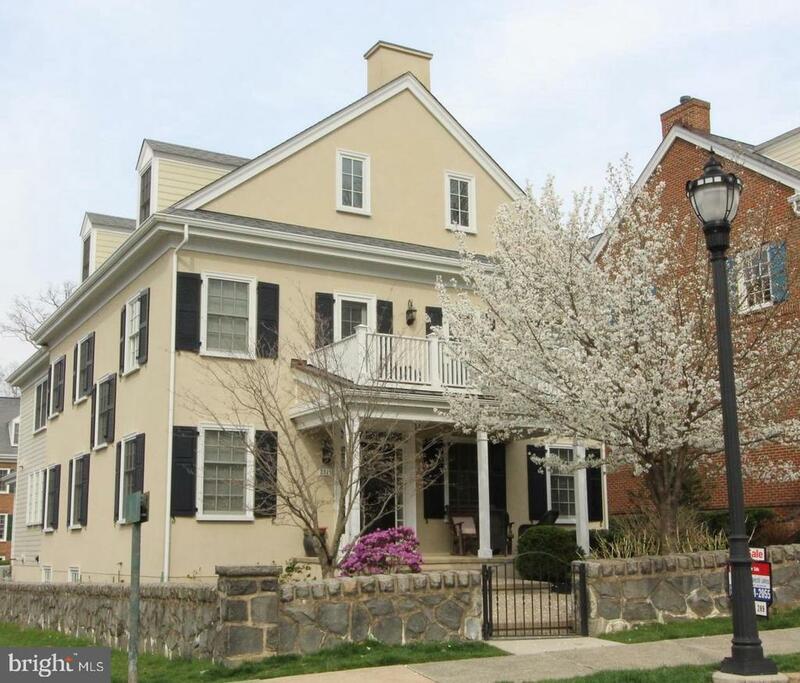 An adjacent updated laundry room includes marble backs"
"This spectacular southern colonial with beautiful park views, and a few steps away from the Delaware Art Museum has it all! Charming front porch, grand foyer entry with powder room, stunning wood floors throughout most of this home, open floor plan with high ceilings and recessed lighting. You will feel the comfort of home as you enter the large Living Room, wonderful Dining Room, and the Family Room with gas fireplace is open to the grand eat-in Kitchen with center island breakfast bar, Greek marble counters, lazy susan, stainless appliances, built-in convection oven, 5-burner Pro Series range, loads of cabinets and counter space. There are front and back staircases to the second floor with 4 bedrooms, 3 full bathrooms, closet space galore and walk-in laundry room with washer, dryer, sink and built-in cabinets. The Main Bedroom suite opens to a second floor balcony with stunning views of the park. There is a huge walk-in closet and private luxury full bath with radiant heated floor, jet tub, double vanity and sinks, walk-in ceramic tiled shower & linen closet. The Princess or Prince Suite has a large walk-in closet and its own private full bath. The 4th bedroom could be a Media Room, Play Room and has a bonus play area with pass-through window. The walk-up attic is ready to finish and plumbed for a bathroom! Don't miss the finished lower level with wet bar, exercise area, walk-in closet, powder room, sauna room, cedar closet, media room. Other features include a security system, 2-car rear entry garage, side patio terrace and the list goes on and on!" 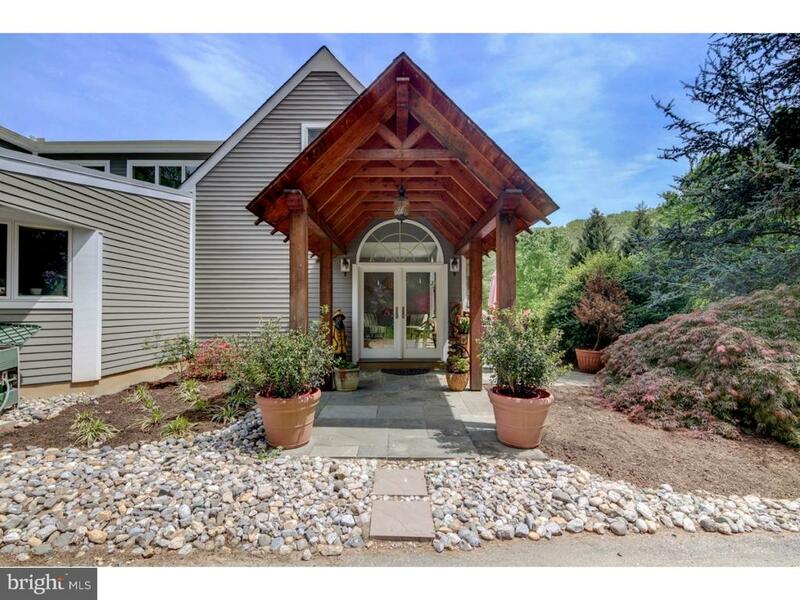 "Tucked away on a private lane in the center of Brandywine Valley's Chateau Country you will find this impeccably maintained home. 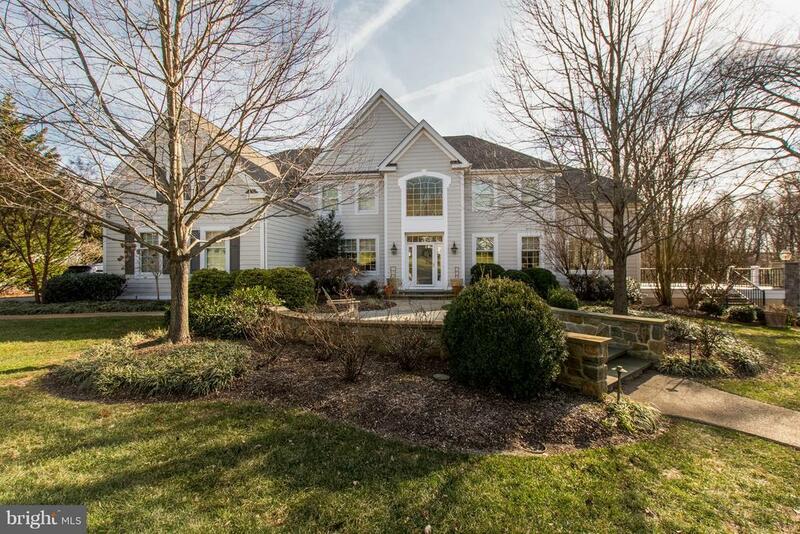 Combining the serenity of a wooded private location yet just minutes from downtown Wilmington, a half hour from the Philadelphia airport and convenient to West Chester and Chadds Ford, homeowners have the best of both worlds. As you enter the home your eye is drawn to an exterior view of terraced stonework and a cascading water feature that emphasizes the natural setting. The light filled interior accesses a broad stone terrace and mature landscaping. The first floor master incorporates a large custom fitted walk in closet and renovated bath with soaking tub, large shower and radiant floor heat. Views of the terrace and adjacent meadow capitalize on natural beauty and privacy bringing the outside in. The cook's kitchen is equipped with a professional stove and other top of the line appliances. It adjoins a sitting area that overlooks the terrace. The custom cabinets are Neff. Walk through the butler's pantry lined with glass fronted cabinets and wet bar into a dining room fitted with custom built ins. Rounding out the first floor is laundry, pantry closet and powder room all enabling first floor living if chosen. The upstairs feature s two bedrooms with jack and jill bath and a third guestroom with en suite bath.The partially finished basement provides storage areas as well as a finished ares with family room and exercise space. Designed for the discriminating buyer, this is a home for those who want turnkey living and a quiet and peaceful destination at the end of the day."